Here’s what we used for a 14th birthday party where we weren’t doing “loot bags”. 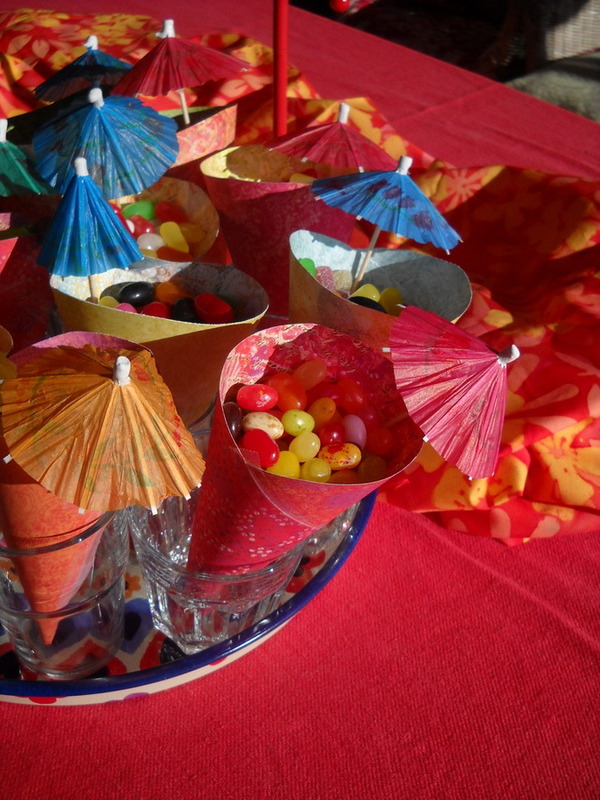 It was a murder mystery party and the participants took these home – a little candy standing up in glasses. Simple, colorful and inexpensive. 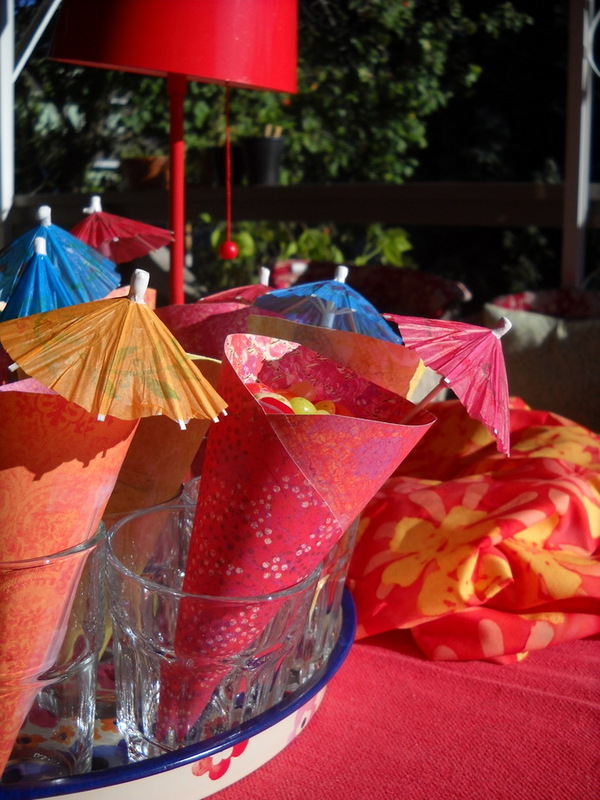 They enjoyed the candy, recycled the paper and kept the umbrellas. More important to put any money into the experience ( in this case buying the murder mystery on line- they are a lot of work ahead of time, but a lot of fun! ) and having great food at dinner.